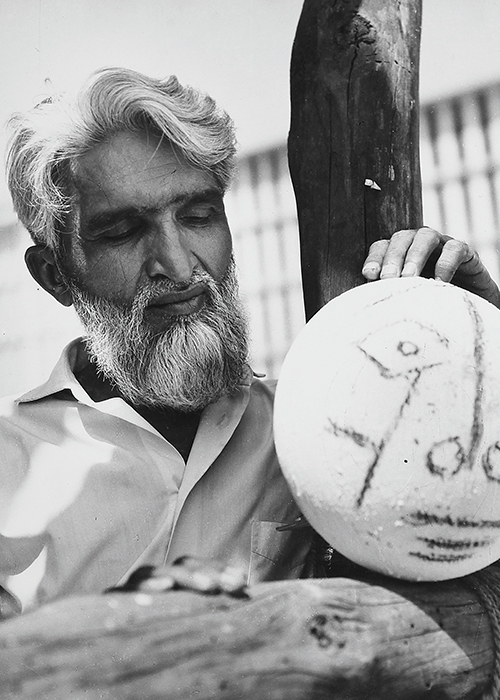 The name of M. F. Husain is synonymous with twentieth century Indian art. 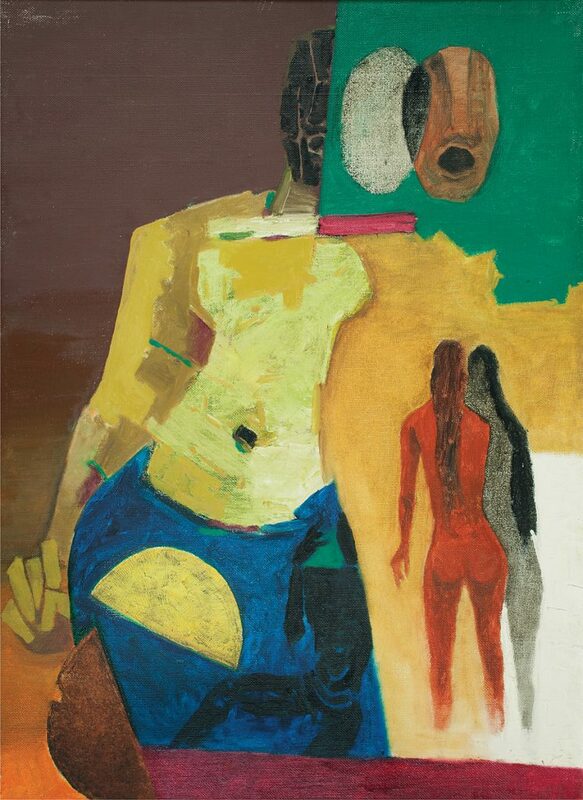 Born in Pandharpur, Maharashtra, Husain came to Bombay in 1937 determined to become a painter, where he slept on the footpath and painted under the streetlights. A self-taught artist, he began his career painting cinema posters and hoardings, and, in 1941, making toys and furniture designs. 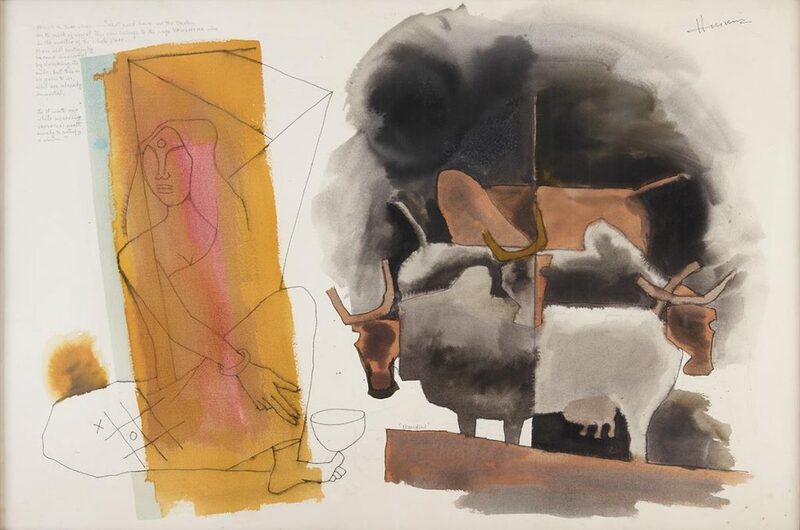 His pictorial concerns were tied to imagining a secular modern Indian art in a language that translated India’s ‘composite culture’ into a rich mosaic of colours that were real, mythical and symbolic all at once. 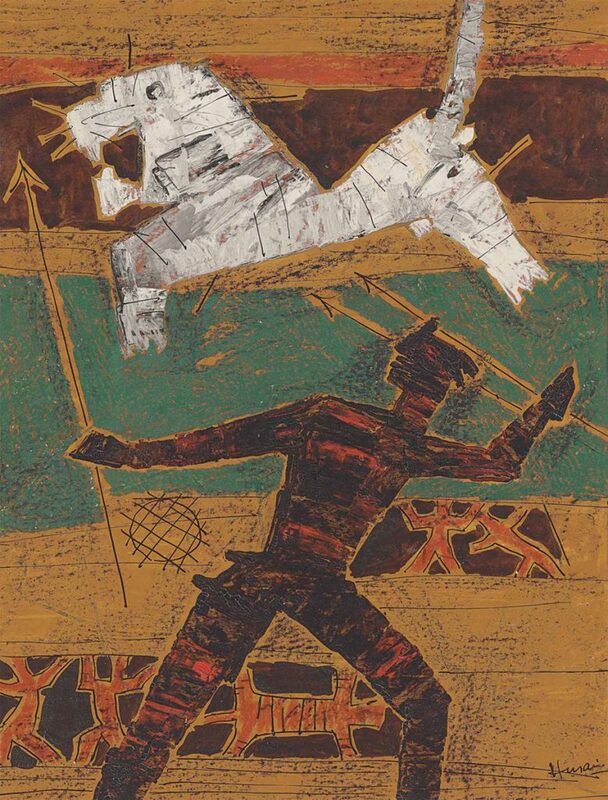 As a member of the Progressive Artists’ Group, launched in 1947, he heralded a new freedom for Indian art in the post-Independence decades. 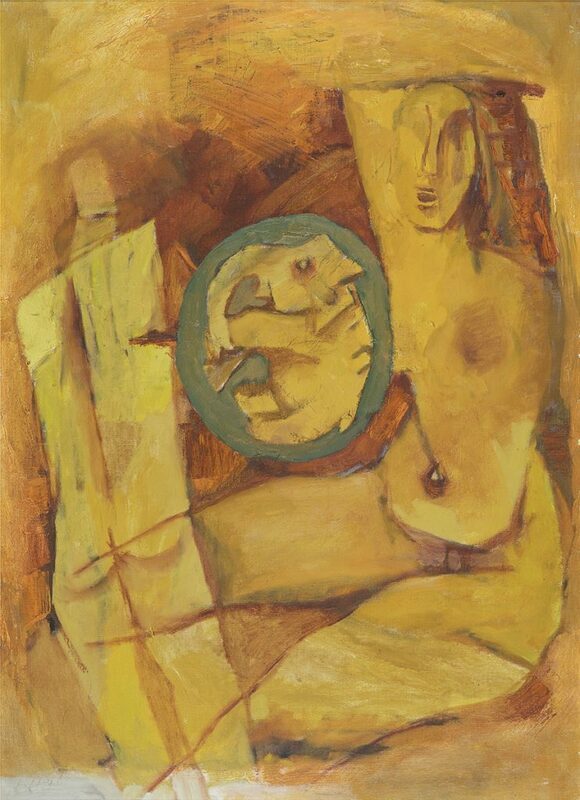 A peripatetic painter, Husain was constantly on the move, covering both geographical and conceptual territories, and in the last six decades transited at will between painting and poetry, assemblage and performance, installation and cinema. He experimented with text and images, worked as a solo performer and in collaboration with a team; painted alongside musicians in an effort to translate music’s elusiveness into the accuracy of pigment and brushstroke. He was awarded the Padma Shri in 1966, the Padma Bhushan in 1973 and the Padma Vibhushan in 1991 by the Indian government. Well into his nineties, he continued to paint with undiminished passion despite living in exile in London and Dubai, and accepting the citizenship of Qatar, having fled from India following obscenity cases and death threats filed against him. Husain passed away in London in June 2011.